If a change in lifestyle has recently crossed your mind, Lunenburg have something that will interest you. When one considers all the vital ingredients that make a great place to live, Lunenburg’s shelves are abundantly stocked. Perhaps you have imagined living in a peaceful place where the air is fresh, the climate is moderate and where all modern amenities exist. Lunenburg is a place most desirable for a wide range of individuals. Here, the pace is relaxed, devoid of big city hassles. .Lunenburg is abundant in living space filled with historic charm, great shops and restaurants, intriguing streetscapes, and natural breathtaking beauty. 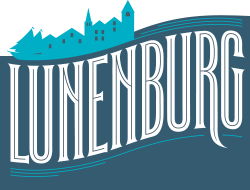 Lunenburg is infused with a rich heritage, vibrant and humming with activity throughout the year and is a community of residents diverse in nature but united in a love for the town and all its surroundings. Living in Lunenburg means a walk to the post office, drug store, grocery store or favourite restaurant. Local shops are diverse and many feature fabulous local creations of the South Shore. The hospital is only a couple of minutes away from anywhere in town. Lunenburg is steeped in art, music and culture. We have an active heritage society, book clubs, writing clubs, a museum that always exceeds expectations and a robust community of artists. We boast some of the finest restaurants in the Maritimes yet you will find that favourite little coffee shop or a pub to meet with friends and family. Art galleries are found on almost every street and live theatre or musical event is never far away. There are festivals galore such as Folk Harbour Music Festival, Festival of Crafts, Folk Art Festival, Street Festival, Newfie Days, Schooner Races and a magical Santa Claus Parade. Music Royale presents world famous classical musicians year round in the National Heritage St. John’s Anglican Church and the Lunenburg Folk Harbour Festival features folk, world, jazz and rock artists throughout the year, though the main event is during the warm nights of August. Recreation is abundant. Tennis courts, a curling rink, bowling alley, swimming pool and a community centre overflow with stimulating activities. We have a golf course with one of the finest views in the world (Lunenburg), hiking trails and a historic working waterfront which is gradually revealing its charms. Lunenburg has an active ship-building industry and was the home port of that historic and majestic schooner on the Canadian dime, the Bluenose. Lunenburg Harbour is home to the tall ship Picton Castle and a popular a port-of-call for many touring Tall Ships and recreational vessels. Lunenburg has wonderful neighbours in the small beautiful historic towns of Chester and Mahone Bay, and the larger town of Bridgewater, an active community 15-20 minutes away which contains the big shopping stores as well as a multiplex theatre. Lunenburg attracts thousands of visitors every year who consider our Town and surroundings to be a wonderful place. Why not make that visit a very long one? Join us in historic, vibrant Lunenburg. We invite you to contact The Lunenburg Board of Trade for the enticing details.